Met up with my buddy Scott to see if those reds and trout would still bite after the little cold shot we had. Started out a little later then we wanted to because of the frost on my boat. We managed to find a nice trout bite for an hour or so. We caught ten or so and got five nice fish in the 2-3 lb range and those got invited home with us. We then went over to the redfish flat and after a little looking around we found them. In the short video there is a short shot of seemingly open water, if you look closely you can see the school moving up to us. I wasn’t sure it was coming out so I didn’t shoot very much but should have. It was a nice big school with some very healthy fish that were stubborn about coming to the boat and make long runs against the drag. We caught a bunch of fish on spin and fly. Good day! 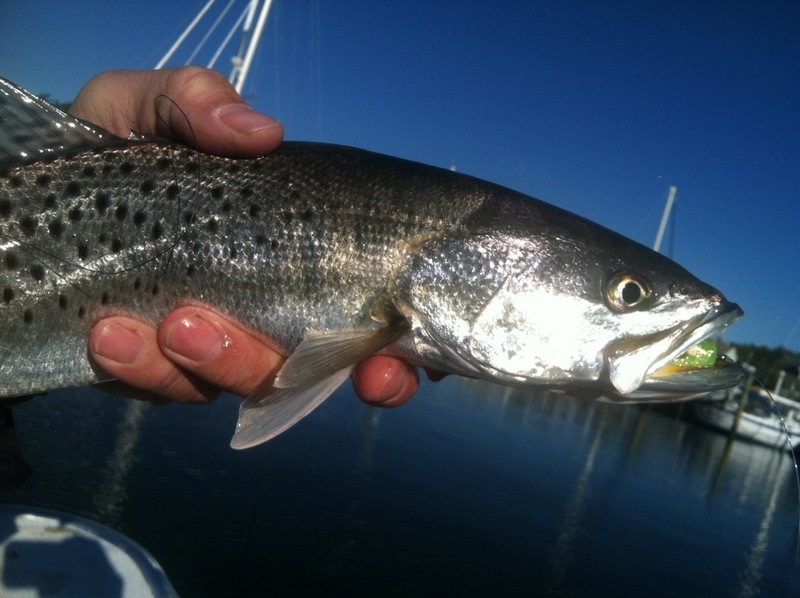 Trout on spin, reds on fly-early Christmas present.